You’re flipping through the mail to find a large envelope addressed to your name from your dream school. You try to control the trembling in your hands as you tear open the envelope and slide out the letter. 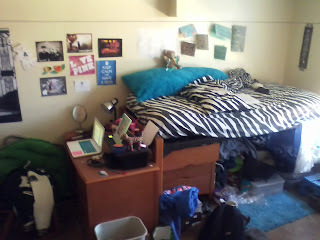 Pretty messy now but I call it home. Most of you may think this is the end of the world. As heart broken as you may be just remember: It’s only 4 years of your life and wherever you go, the people there are bound to find things to do to make the most of it. If you ask me about it now, I can brag about SUNY New Paltz for hours. But last summer would have been a completely different story. I was looking at University of Maryland, NYU, and UConn. I had given up early on the first two because of the price, but I couldn’t let go of UConn. I applied to about 7 schools and New Paltz was one of my first acceptances. I was excited only because it wasn’t a rejection, but the one I was really waiting was, of course, UConn. My parents kept pushing me for New Paltz and after I was waitlisted from UConn, I gave in, sent in my deposit and immediately began the search for the school I’d transfer to in two years. I ended up getting a late acceptance from UConn but it didn’t matter at that point. I spent a night in New Paltz with a friend and had a GREAT night but it still wasn’t where I could see myself for 4 years. I had to accept it because it was the only place I could afford, but orientation made it even worse. I had no problem talking to anyone, but everyone there (not trying to be offensive) was very “unique”. Fortunately, I hit it off with one girl that’s now my best friend because we both realized this. You know it’s messy when an RA posts this. Can’t wait for my own bathroom! Fast forward to the beginning of the semester: Everything started working itself out and I found more people I could relate to. I was also working extremely hard to get good grades. But most nights I’d find myself going out with just my best friend because our other friends either didn’t want to go out or weren’t into the same scene. I also have a huge problem with my living area. 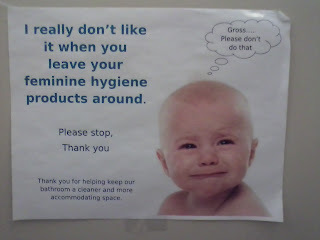 I share a bathroom with my floor, a very dirty bathroom. The lounges, kitchens and halls usually smell and are extremely messy. I’ve decided to take matters into my own hands and hopefully I’ll be able to live off campus next year. And at this point I’ve realized that I don’t need a big group of people with me to do anything. I do have my friends to go to, but going out with one other person means more opportunities to meet more people and we can leave when, and go where, we want without having to compromise with anyone else. Transferring is now out of the question. There will be things beyond my control, but I’ve found ways to enjoy what I do have here and change what I don’t like. I’ll be extremely grateful once I graduate and I realize I won’t be in debt for the rest of my life. 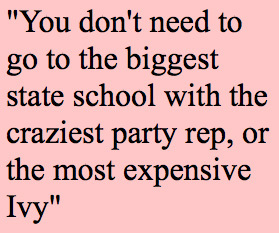 As long as you’re getting an education, you don’t need to go to the biggest state school with the craziest party rep or the most expensive Ivy League school that you’ll never be able to pay back. Pick a school that will get you a great education, unforgettable stories (since you may not remember every night) and experiences for the future with the least debt possible. And use our SEARCH feature to find info on ANY college topic!